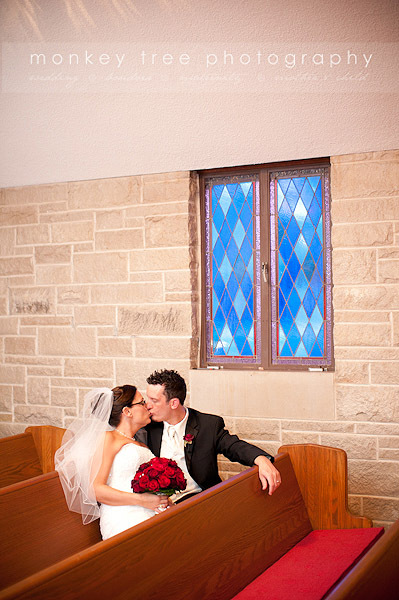 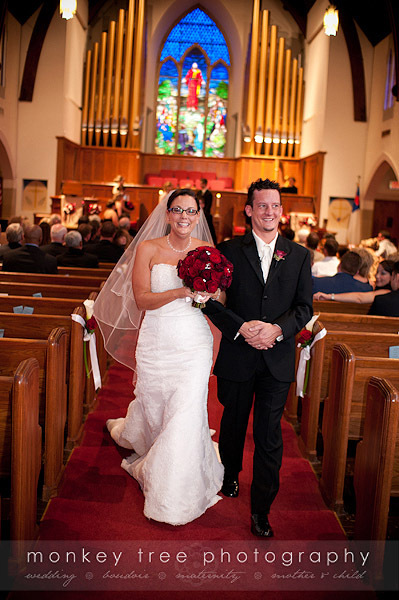 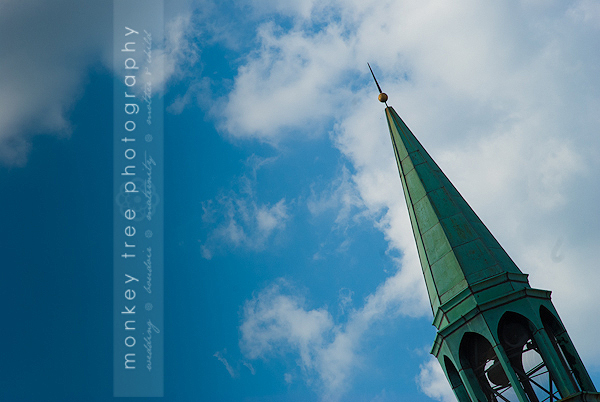 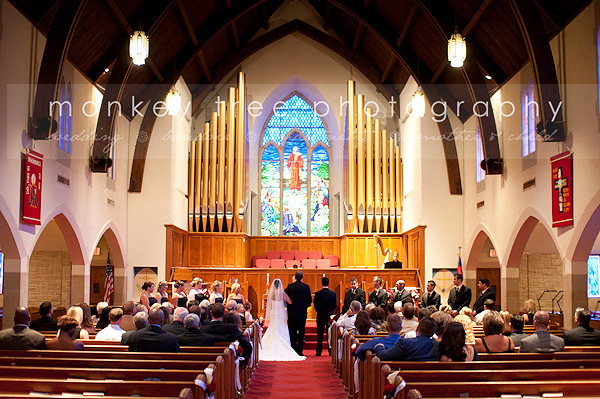 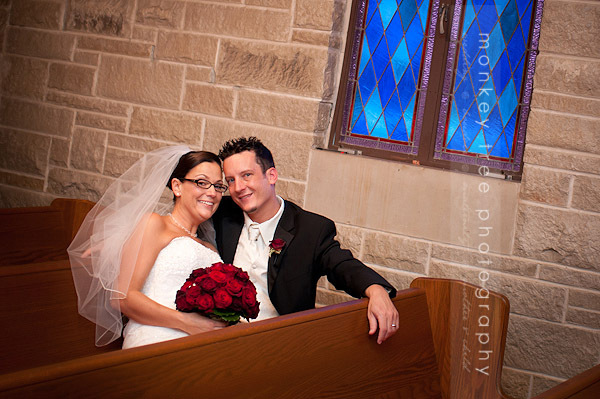 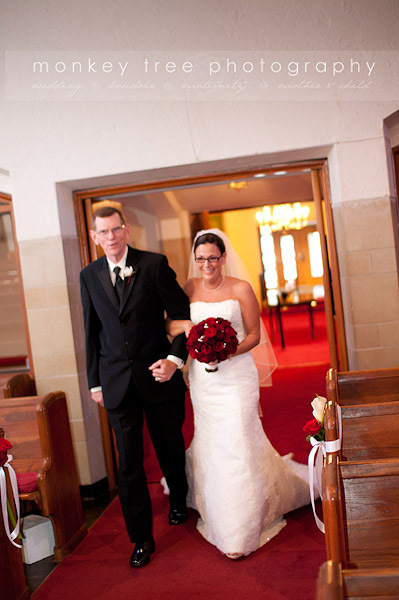 Lauren and Kyle were married at Bethany Christian Church , with a reception following at Bell Tower on 34th. 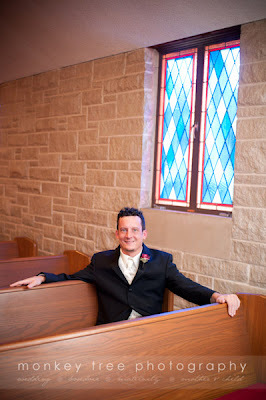 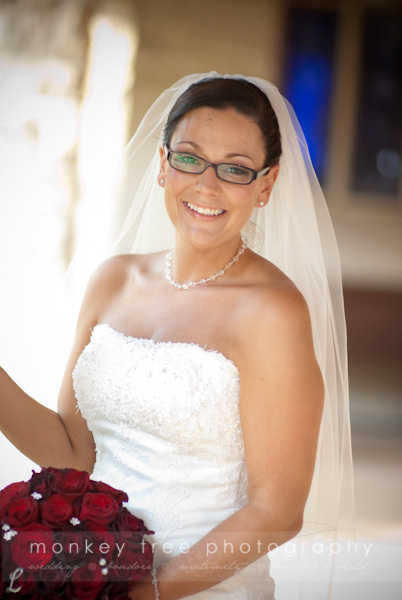 I headed over to Lauren’s suite at the Omni for some getting-ready shots, then made my way over to the church. 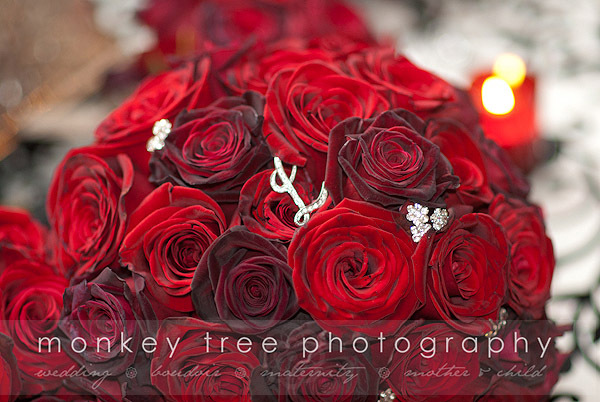 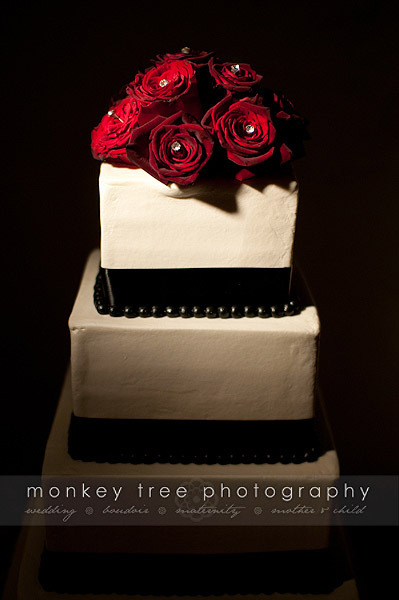 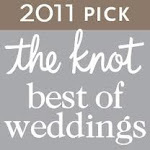 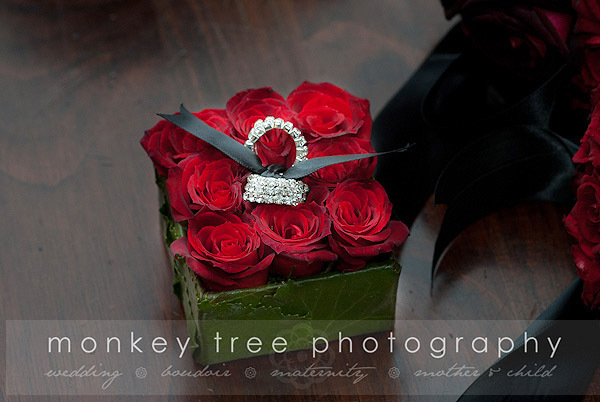 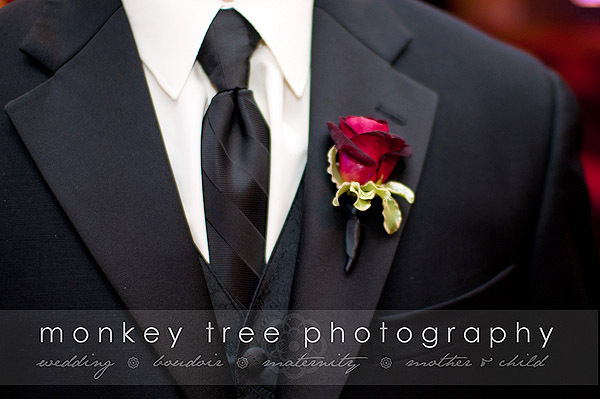 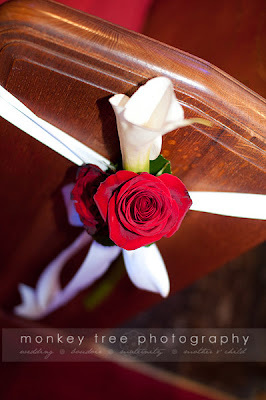 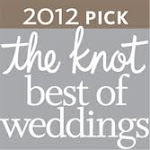 The ceremony was gorgeous, everyone with their deep red roses (Special Arrangements did a wonderful job on the florals!). 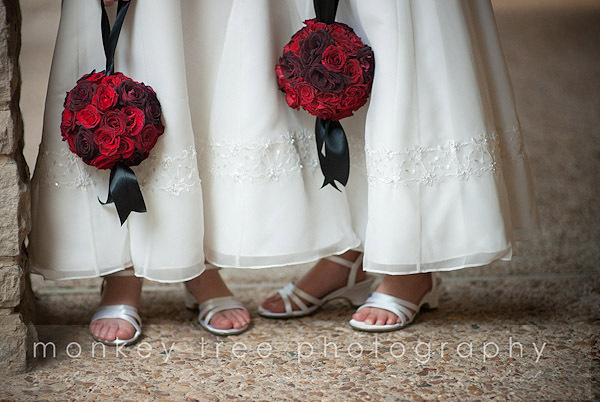 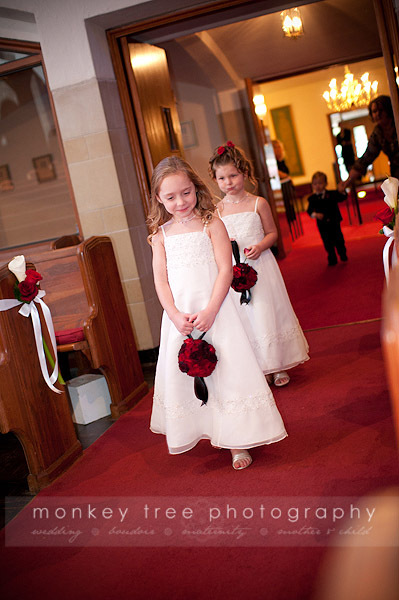 The flowergirls carried pomander balls, and the ring bearer’s “pillow” was a sweet tiny box of miniature red roses, and the bridal bouquet featured sparkling crystals throughout. 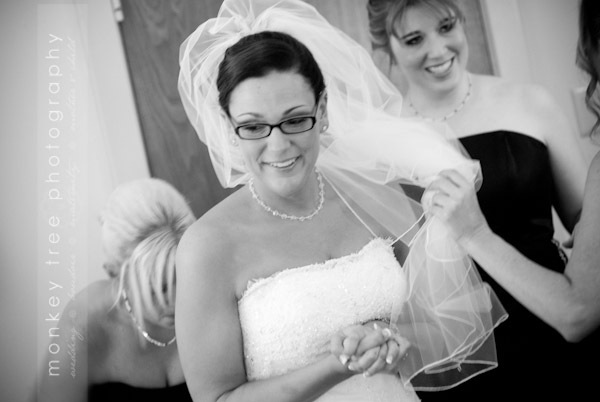 Lauren’s “something blue” was a bead on the back of her necklace—a special request for Emily Wells who hand-made the bridal accessories. 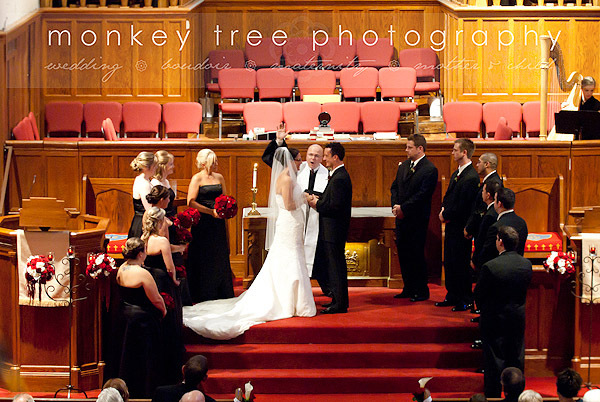 The reception was impressive to say the least! 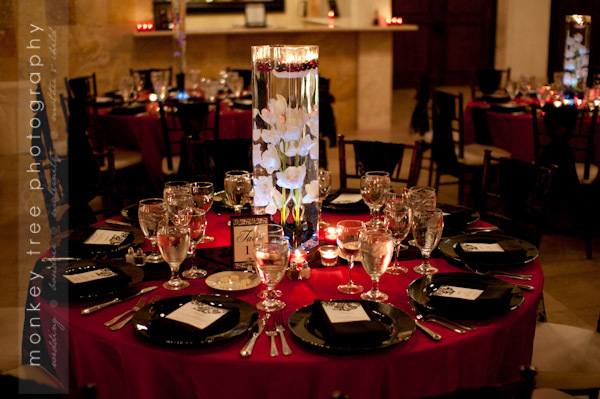 Bell Tower on 34th was dressed to the nines in sumptuous red and black linens, red and white florals, and black brocade patterns repeated throughout the décor. 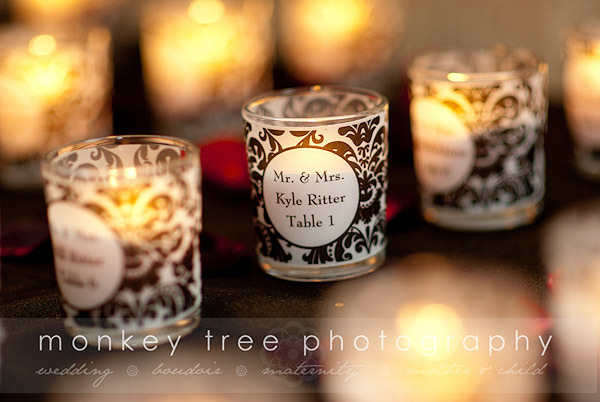 The couple’s custom monogram was projected on the wall, and placecards were not cards at all—but personalized votive candles. 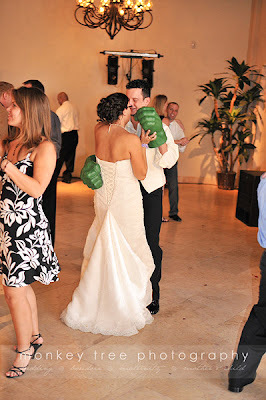 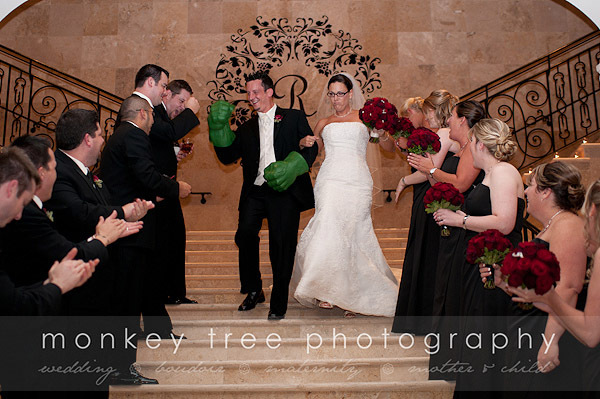 Kyle made his entrance with a beautiful new wife on his arm, and Incredible Hulk Hands on his arms as well! 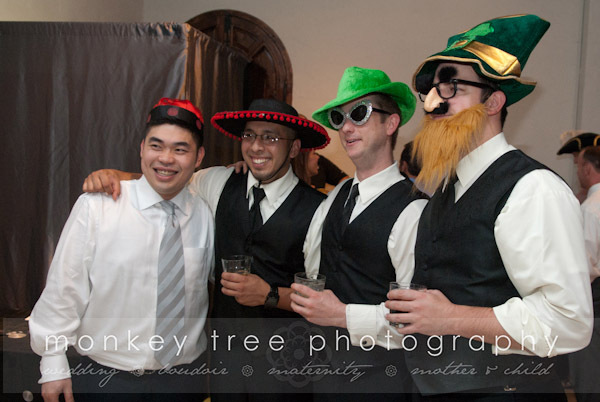 Various people wore them throughout the night, but Kyle donned them once again for the last dance. 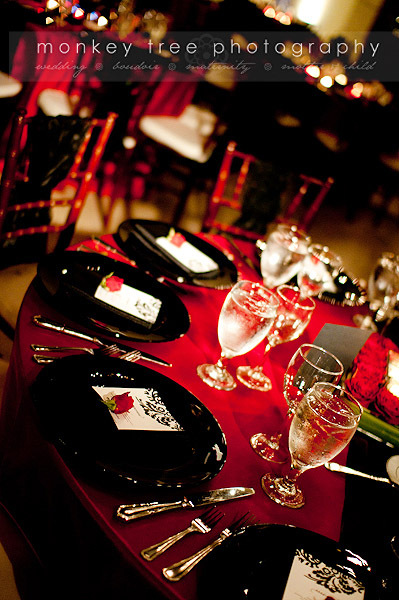 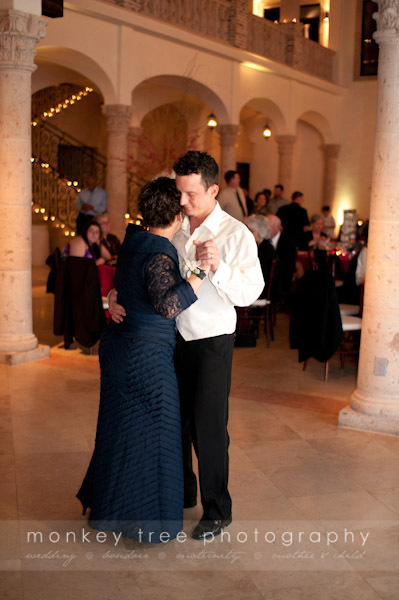 Guests danced, drank, and dined throughout the evening. 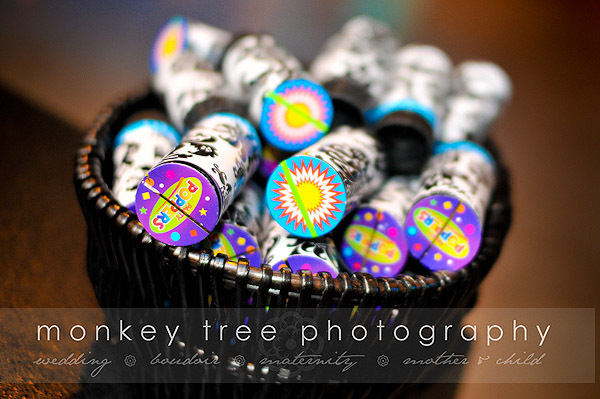 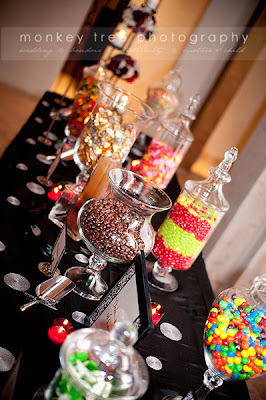 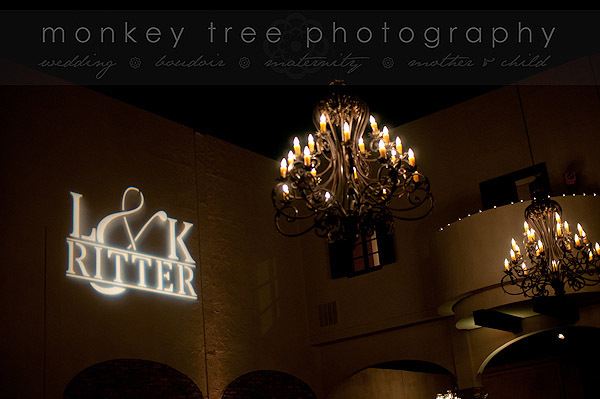 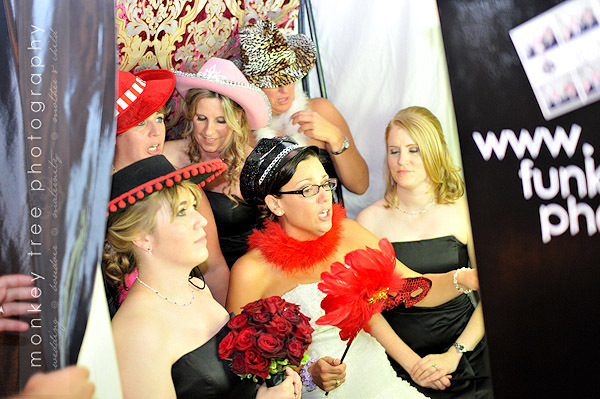 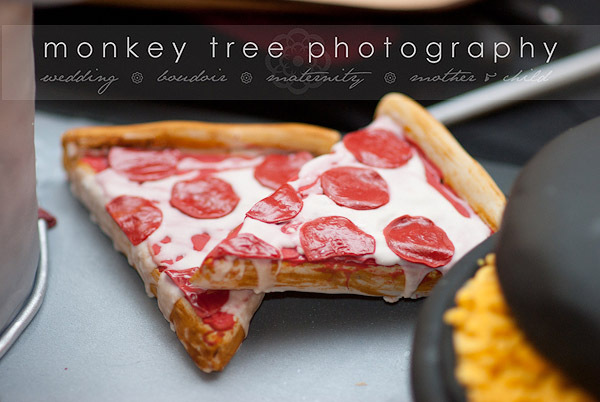 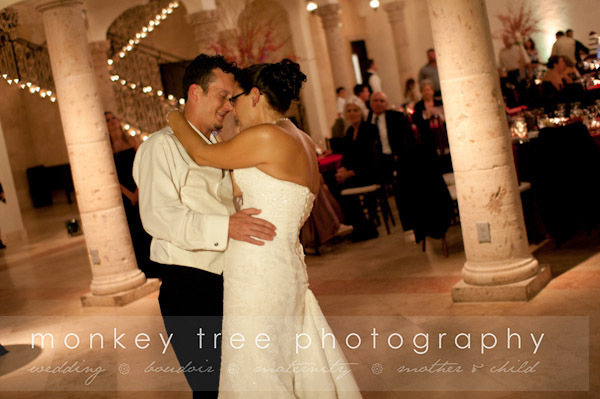 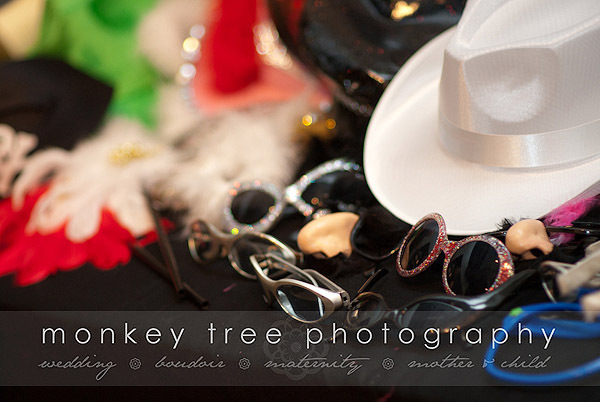 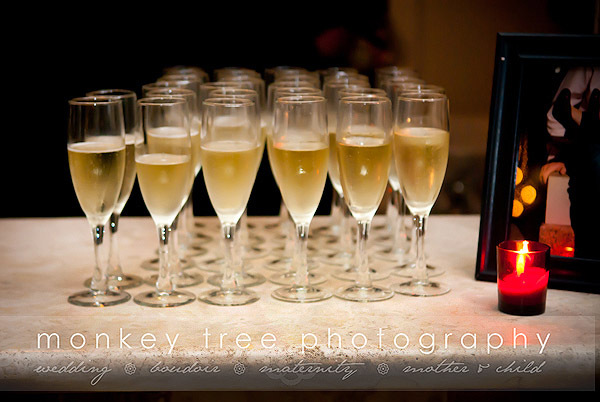 The Funky Monkey Photobooth was on hand for entertainment, and guests were treated to a delectable-delightful candy bar, as well as midnight snacks before the couple’s departure. 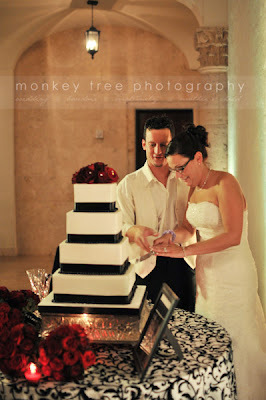 Lauren had some smaller cakes specially prepared for her parents, who were celebrating their wedding anniversary… and Tom Hall (the videographer), also celebrating his wedding anniversary. 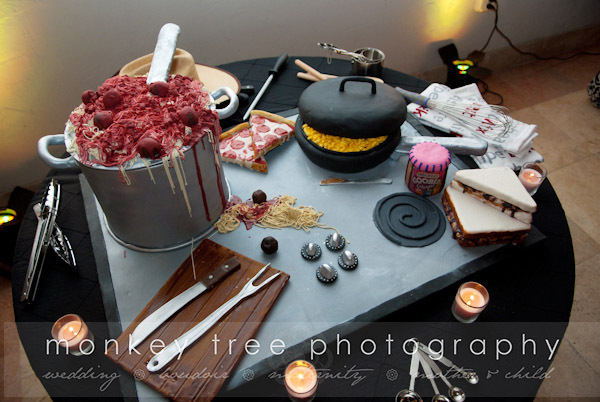 I thought it really sweet that they arranged for the presentation! 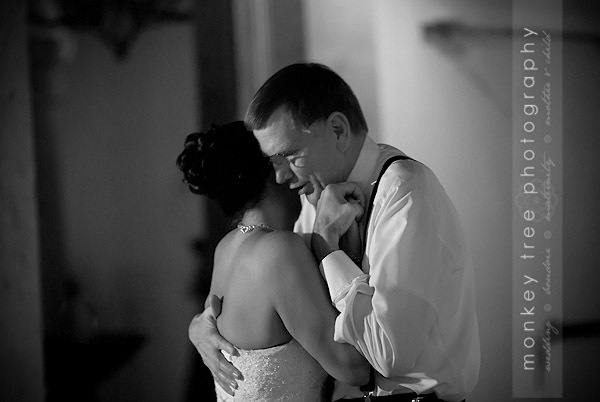 During the maid of honor and best man’s speech, the couple was presented with t-shirts. 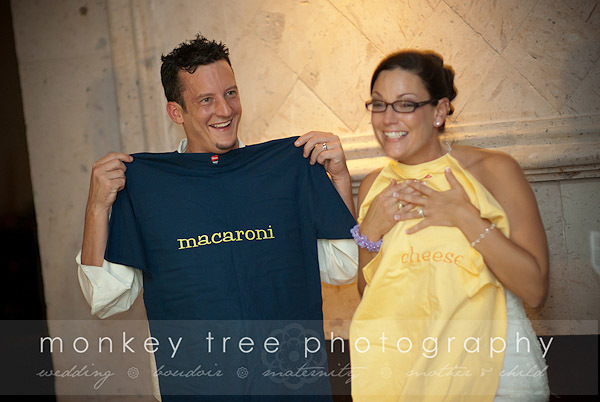 Kyle’s was embroidered with “macaroni” and Lauren’s with “cheese”… because you guessed it, they go together like… macaroni and cheese. 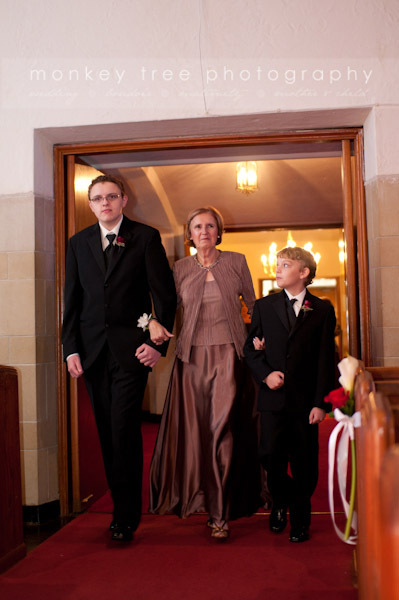 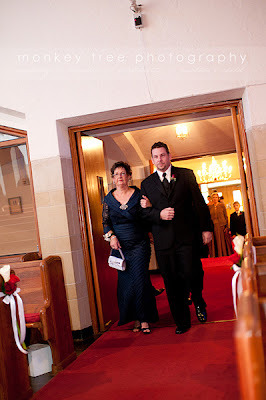 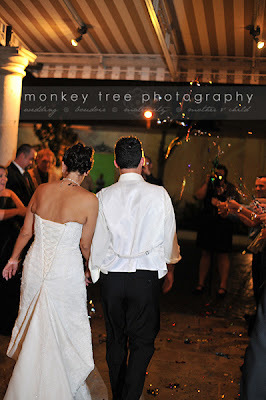 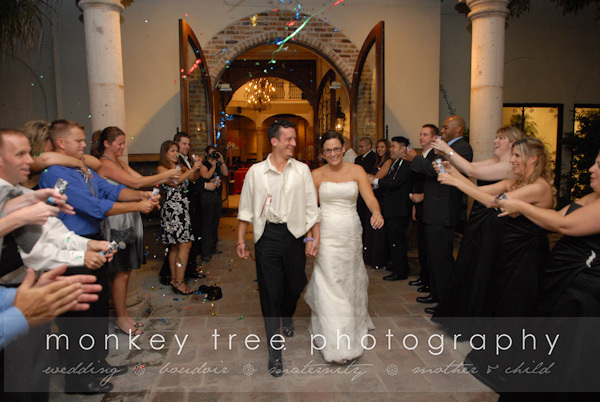 Upon their exit the couple was greeted with bright, colorful popping streamers! 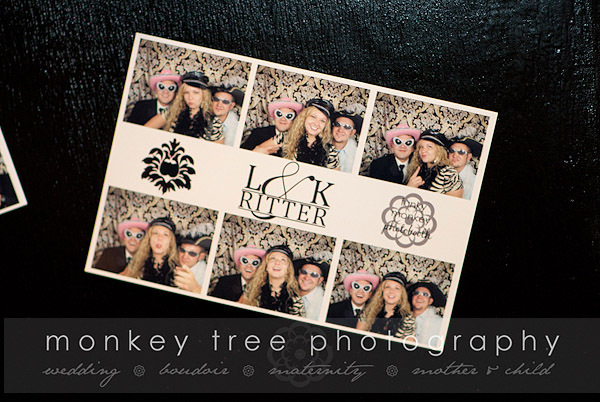 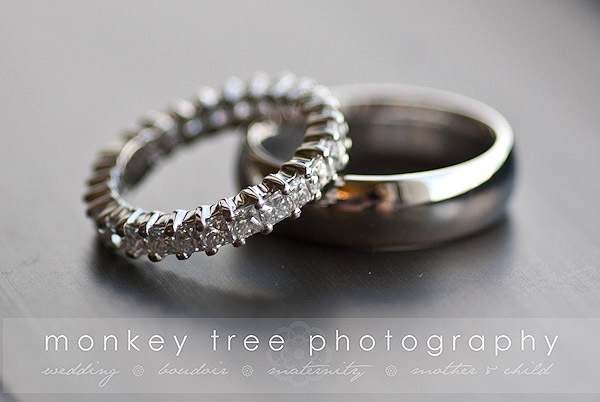 Many thanks to Kelly Balfour of Eventology Weddings for the referral of this fantastic couple. 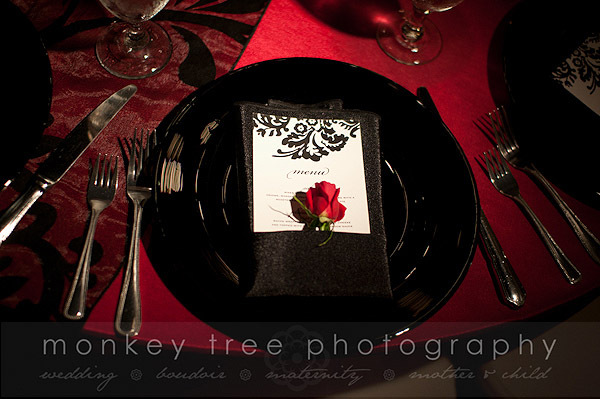 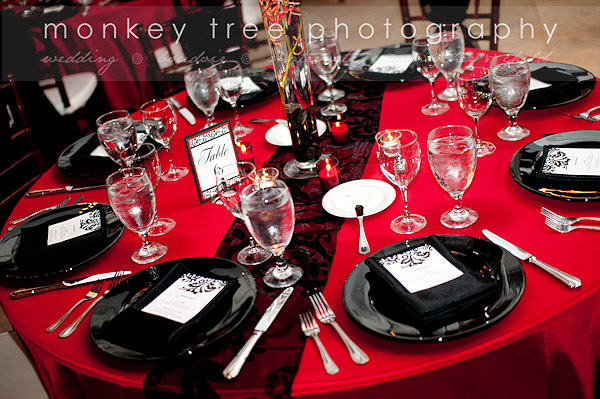 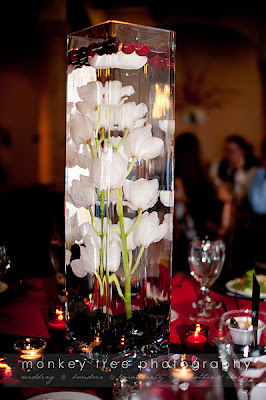 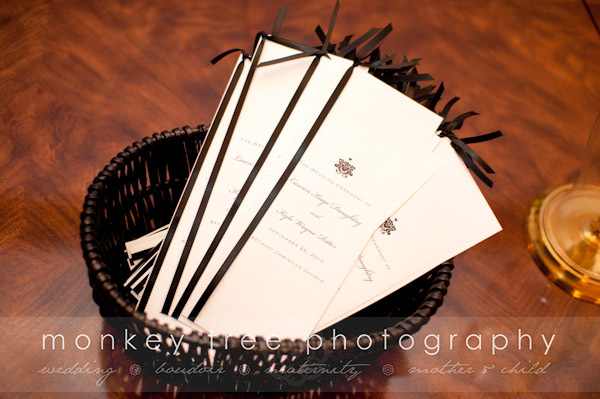 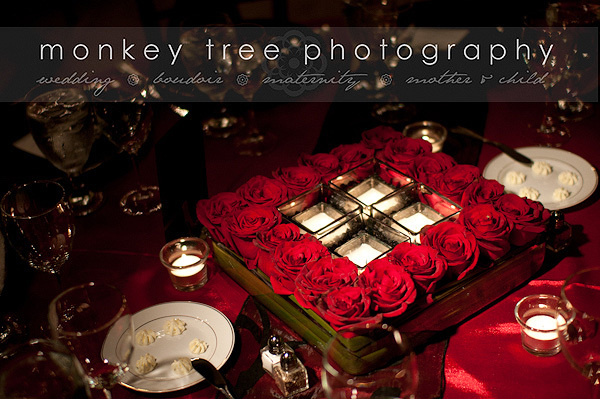 Kelly and Abby worked hard to make the details happen and the event run smoothly!